Tony was elected as a committee member of BOSA in 2009, became acting President in mid-2011 and was elected as President in October 2011. He has developed solid relations between BOS Australia and BOS Foundation Indonesia on his recent trips. He manages the web site and administration teams as well as assisting with fundraising. 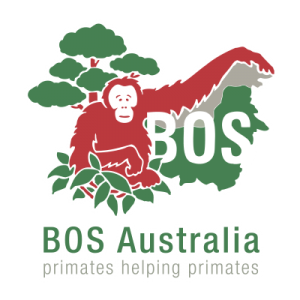 Tony will continue to work with the Australia committee to develop energetic and innovative awareness and fundraising programs for BOS Australia for the next year. 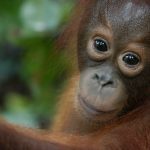 Tony was previously Vice President of Australian Orangutan Project (AOP) for eight years and is currently a director of Rainforest Rescue and joint founder of the Palm Oil Action Group. He has served on many boards and was previously CEO of Australia’s largest gift importer. Louise works in a Zoo Curator role. This follows a long term supervisory role at the Primate Unit at Sydney’s Taronga Zoo, where she’s worked for 24 years specialising in the husbandry and management of a range of different primate species. Lou has been involved in BOSA for the past ten+ years. 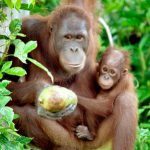 She provides animal husbandry advice on the care of the non-releasable orangutans held within the BOS sanctuaries in Indonesia. Lou is one of the key enrichment advisors of the welfare/ enrichment committee headed up by the well known Lone Drescher Nielsen, the founder of Nyaru Mentang. Lou is working alongside Lone and Fleur Butcher, another key orangutan person, to develop effective enrichment programs. 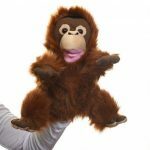 Lou also has a teaching background and helped to develop our orangufriends program, educating children on the plight of orangutans in the wild. Susan is a Certified Practising Accountant with an MBA, and has over 20 years experience in Finance roles including Treasurer at Stella Travel and Corporate Express (now Staples) and has lived and worked in Asia.&nbsp; Susan is committed to the survival of Orangutans, and assists through her experience and training in facets of financial, compliance and operational matters. Lauren Jenkins works as an Account Manager at Communication Direct where she has gained invaluable experience in both fundraising and project management. Lauren brings her administrative skills to the Secretary role, as well as assisting with the communication across BOS Australia’s social media channels. She is an animal lover, and hopes her skills can assist with the survival of the orangutans and achieving BOS Australia’s goals. Cathy is a Certified Practising Marketer with over 15 years of financial services marketing experience gained in Australia and the UK. Cathy joined BOS Australia in 2010 and is responsible for running the adoptions programme. She brings to the Committee specialist marketing skills gained in the corporate environment and a commitment to the survival of orangutans. Emma is a creative and experienced Administrator who has worked predominantly in the Not for Profit sector for over twenty years. Emma’s been involved with BOS Australia since 2008 and was our Administrator from March 2010 to August 2016. Her extensive experience in supporter services brings a unique perspective to the Committee. Emma continues to provide administrative support to our BOSA Enrichment Program and is committed to deepening supporter relationships through her Committee role. Kerin Welford moved to Australia in 2011 from New Zealand and is currently the Fundraising Manager at Assistance Dogs Australia. A qualified Certified Fund Raising Executive (CFRE), she has 19 years’ experience in fundraising management working for not-for-profits in New Zealand and Australia. Her previous roles have included; Fundraising &amp; Marketing Executive at Wellington Society for the Prevention of Cruelty to Animals, Fundraising Manager at Presbyterian Support Central, Senior Fundraiser at Royal Forest and Bird Protection Society of New Zealand and Donor Relationships Manager at Camp Quality. Kerin served on the Committee of the Fundraising Institute of New Zealand (FINZ) Central Division from 2003 until 2011 and as a Council Member on the FINZ National Council from 2006-2007.